There are several places in the Bible that talk about seeking God’s favor. In reading these sections it becomes clear that when people seek God’s favor, good things result; when they don’t, bad things result. For example, Hezekiah sought God’s favor and disaster was averted, whereas the Jewish people did not seek God’s favor and spent 70 years in captivity. What isn’t readily apparent is how one goes about seeking God’s favor, but Daniel provides the answer. It is simply by stop doing bad things and acknowledging his truth. 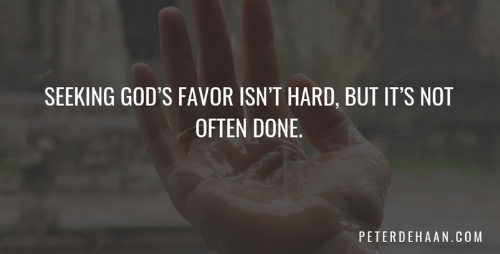 Seeking God’s favor isn’t hard, but it’s not often done.